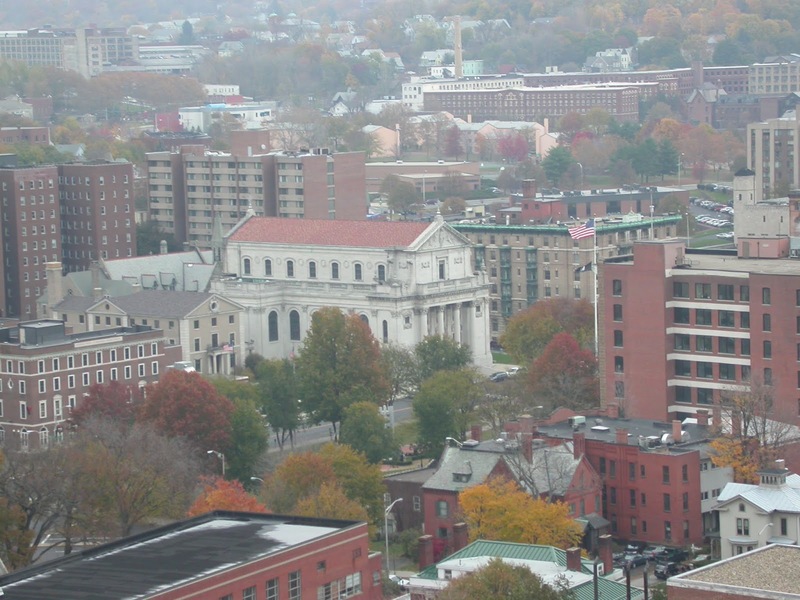 The first image appearing below is a view of Trinity Church, the gray stone building just visible to the left of The Basilica of the Immaculate Conception. The photo was taken in November 2007 from the top of the clock tower at Union Station, now the offices of the Republican-American newspaper. Other photos were taken on September 23, 2018 after learning of a planned demolition. All images © 2018, Daniel M. Lynch. Non-commercial use permitted with attribution.